For the ship, see SS Imperator. "Imperator Augustus" redirects here. For the first Roman emperor, see Augustus. 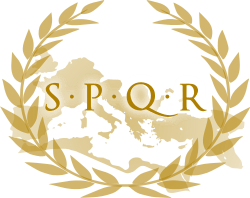 The Latin word imperator was originally a title roughly equivalent to commander under the Roman Republic. Later it became a part of the titulature of the Roman Emperors as part of their cognomen. The English word emperor derives from imperator via Old French Empereür. The Roman emperors themselves generally based their authority on multiple titles and positions, rather than preferring any single title. Nevertheless, imperator was used relatively consistently as an element of a Roman ruler's title throughout the principate (derived from princeps, from which prince in English is derived) and the dominate. In Latin, the feminine form of imperator is imperatrix, denoting a ruling female. When Rome was ruled by kings, to be able to rule, the king had to be invested with the full regal authority and power. So, after the comitia curiata, held to elect the king, the king also had to be conferred the imperium. In Roman Republican literature and epigraphy, an imperator was a magistrate with imperium (Rivero, 2006). But also, mainly in the later Roman Republic and during the late Republican civil wars, imperator was the honorific title assumed by certain military commanders. After an especially great victory, an army's troops in the field would proclaim their commander imperator, an acclamation necessary for a general to apply to the Senate for a triumph. After being acclaimed imperator, the victorious general had a right to use the title after his name until the time of his triumph, where he would relinquish the title as well as his imperium. Since a triumph was the goal of many politically ambitious Roman commanders, Roman Republican history is full of cases where legions were bribed to call their commander imperator. The title of imperator was given in 90 BC to Lucius Julius Caesar, in 84 BC to Gnaeus Pompeius Magnus, in 60 BC to Gaius Julius Caesar, relative of the previously mentioned Lucius Julius Caesar, in 45 BC again to Gaius Julius Caesar, in 44 BC to Marcus Iunius Brutus, and in 41 BC to Lucius Antonius (younger brother and ally of the more famous Marcus Antonius). In 15 AD Germanicus was also imperator during the empire (see below) of his adoptive father Tiberius. After Augustus established the Roman Empire, the title imperator was generally restricted to the emperor, though in the early years of the empire it would occasionally be granted to a member of his family. As a permanent title, imperator was used as a praenomen by the Roman emperors and was taken on accession. After the reign of Tiberius, the act of being proclaimed imperator was transformed into the act of imperial accession. In fact, if a general was acclaimed by his troops as imperator, it would be tantamount to a declaration of rebellion against the ruling emperor. At first the term continued to be used in the Republican sense as a victory title but attached to the de facto monarch and head of state, rather than the actual military commander. The title followed the emperor's name along with the number of times he was acclaimed as such, for example IMP V ("imperator five times"). In time it became the title of the de facto monarch, pronounced upon (and synonymous with) their assumption. As a title imperator was generally translated into Greek as autokrator ("one who rules himself," also sometimes used as a translation for Roman dictators.) This was necessarily imprecise as it lost the nuances of Latin political thought contrasting imperium with other forms of public authority. Nevertheless, this title (along with sebastos for augustus) was used in Greek-language texts for Roman emperors from the establishment of the empire. In 629 AD Emperor Heraclius, having changed the official language to Greek nine years earlier, adopted the title of basileus, previously used by Alexander the Great as a translations for emperor and it is thereafter used interchangeably (and often in conjunction) with autokrator in the Byzantine Empire. After the Roman empire collapsed in the West in the 5th century, Latin continued to be used as the language of learning and diplomacy for some centuries. The Roman emperors of this period (referred to by modern historians as the Byzantine emperors) were referred to as imperatores in Latin texts, while the word basileus (king) was used in Greek. After 800, the imperator was used (in conjunction with augustus) as a formal Latin title in succession by the Carolingian and German Holy Roman Emperors until 1806 and by the Austrian Emperors until 1918. In 1721, as part of his drive to both westernize the Russian Empire and assert the monarchy's claim that it was the successor to the Byzantine emperors, Peter the Great imported the Latin word directly into Russian and styled himself imperator (Императоръ). The style remained the official one for all his successors down to the end of the Russian Empire in 1917, though the Russian rulers continued to be colloquially known as tsar (a word derived from "Caesar"), which they had begun to use c. 1480 to likewise assert their contention to be the heirs to the Byzantine state (see: Third Rome.) Reigning female Russian rulers were styled imperatritsa. Napoleon famously adopted the title for himself and after the Napoleonic wars, the number of emperors in Europe proliferated, but Latin began to fall out of use for all but the most ceremonial situations. Still, in those rare cases in which a European monarch's Latin titles were used, imperator was used as a translation for emperor. Famously, after assuming the title Emperor of India, British monarchs would follow their signatures with the initials RI, standing for rex imperator ("king-emperor"). George VI of the United Kingdom was the last European ruler to claim an imperial title; when he abdicated as Emperor of India in 1948, the last active use of the title imperator in the West ceased. It was thereafter used only historically, or as a Latin translation for certain continuing titles of non-European cultures, such as Japan. The imperial title was also adopted by Jean-Bédel Bokassa, during his reign as the emperor of the short-lived Central African Empire (1976–79). The term imperatrix seems not to have been used in Ancient Rome to indicate the consort of an imperator or later of an Emperor. In the early years of the Roman Empire there was no standard title or honorific for the Emperor's wife, even the "Augusta" honorific was rather exceptionally granted, and not exclusively to wives of living emperors. It is not clear when the feminine form of the Latin term imperator originated or was used for the first time. It usually indicates a reigning monarch, and is thus used in the Latin version of titles of modern reigning Empresses. Likewise, when Fortuna is qualified "imperatrix mundi" in the Carmina Burana there's no implication of any type of consort — the term describes (the Goddess or personified) Fortune "ruling the world". In Christian context, Imperatrix became a laudatory address to the Virgin Mary, in diverse forms at least since the Middle Ages — for example, she is sometimes called "Imperatrix angelorum" ("regnant of the angels"). Imperator is the root of most Romance languages' word for emperor. It is the root of the English word "emperor", which entered the language via the French empereur, while related adjectives like "imperial" were imported into English directly from Latin. ↑ Rex.A Dictionary of Greek and Roman Antiquities, John Murray, London, 1875. Robert Combès, Imperator : Recherches sur l’emploi et la signification du titre d’Imperator dans la Rome républicaine. Paris : Presses universitaires de France ; Publications de la Faculté des Lettres et Sciences humaines de l’Université de Montpellier, 1966, 489 p.
Pilar Rivero, Imperator Populi Romani: una aproximación al poder republicano Zaragoza: Institución Fernando el Católico ; 2006, 514 p. (Biblioteca virtual at http://ifc.dpz.es).